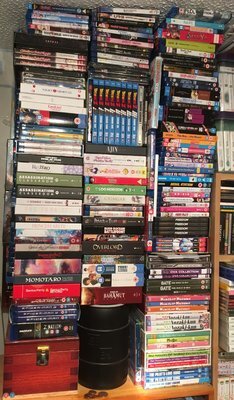 If you follow me on Twitter, you'll know blu-rays just get piled up as and where I can find space. Gundam The Origin 1-3, 5, and 6 CEs. 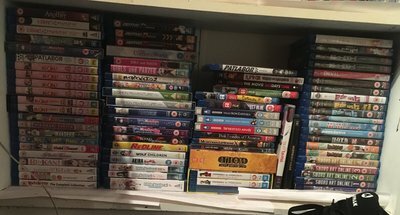 So you've only got a little bit of anime then? What happens when you run out of space on your room or get crushed by the contents? 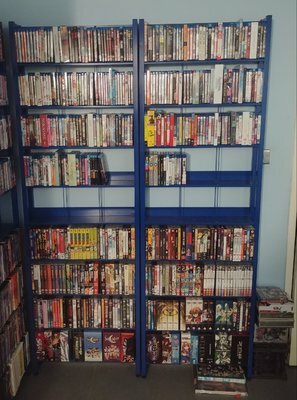 As it turns out, despite the move, I actually still have no more room for shelving, so this is all I've got for the foreseeable future. 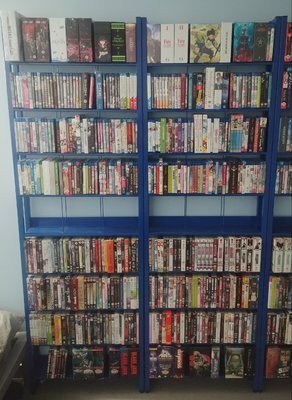 With this in mind, in an attempt to claw back some space, I've put all my DVDs in storage, apart from the ones I haven't seen yet, and once I've seen them, they'll be joining the others. This will hopefully buy me some time so I can figure out a better long term solution. One upside with this new house is that I have a second room to put my TV in! I have a couch and a proper TV stand now and everything, which I'm just thrilled about. I was miles away from my TV before, so to be right in front of it is genuinely great and makes it feel twice as large! I was thinking about getting a newer, bigger TV, but now I'm close to it, it seems rather unnecessary. 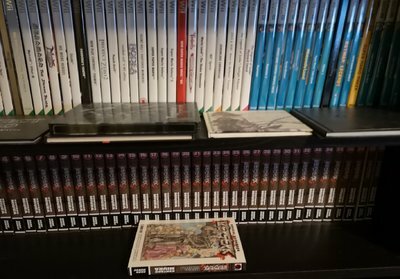 In the spirit of this forum I will show of my humble collection. 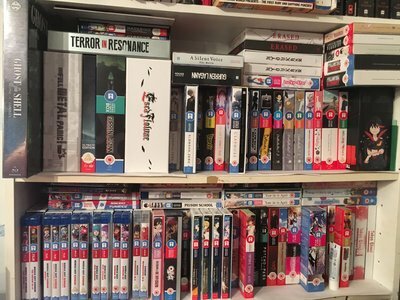 Nadesico (soon to be upgraded to blu-ray through christmas sale at Anime Ltd), Bubblegum Crisis, Nerima Daikon Brothers (used to have US imports until this came out), Cowboy Bebop and Red Ash from the ill fated kickstarter (anime turned out quite good though). 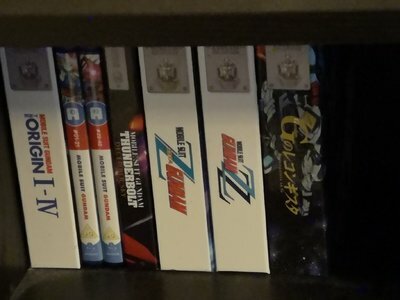 On my shelf I have Dirty Pair Flash, Lupin the movie as I lovingly call it, Zone of the Enders Idolo, Excel Saga + Puni Puni Poemi, some Ghibi (Princess Mononoke and Ponyo), Tenchi Muyo, Chobits and the Persona 3 movie collection from last years AL christmas sale. Not shown is my Dragonball yellow box collection from Manga Entertainment. 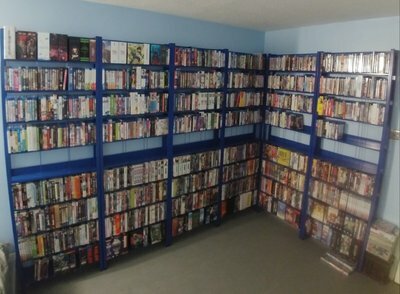 I decided to be the first to show off my collection this year. WOW! I've never seen anything like that! 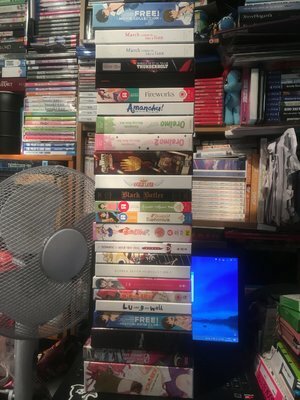 How long have you been collecting Anime? 50 Years? 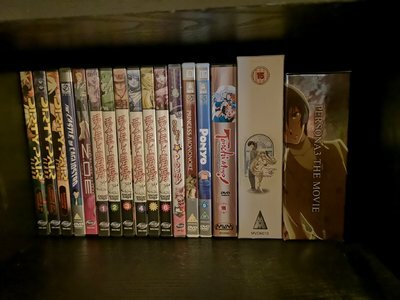 It makes my one shelf anime collection look very tiny in comparison! It took a year to upgrade to blu ray, so not that long. 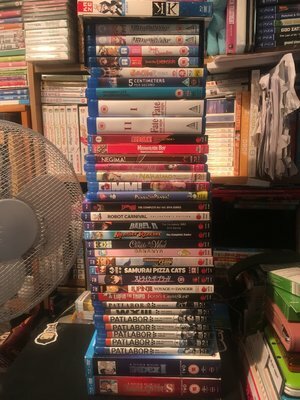 I’ll post an update on my collection at some point, having a massive sort out of my room before I go back to University so things may be moved around again. Once I've received the rest of my items from the 12 Days sales I'll post my collection. But for real when I think my collection is too big I always refer to Denny's collection to reassure myself that I collect at a healthy amount. I can't imagine watching all of that. 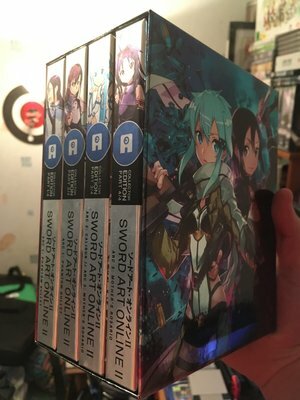 Must be a die-hard anime collector hey? 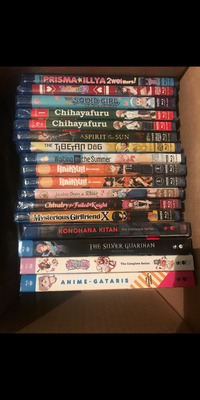 I'd love to have the money and the space for all that anime! You must've not have the rule I have when buying anime - if I can stream it on Crunchyroll (which I generally have an active subscription for) I won't buy it. Saves on space you know? 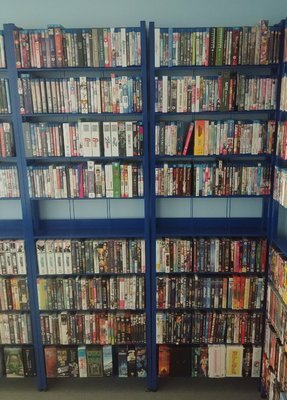 No wonder I see you around here a lot, you surely must have one of the biggest collections of anyone here. I suppose I'm just good at saving. 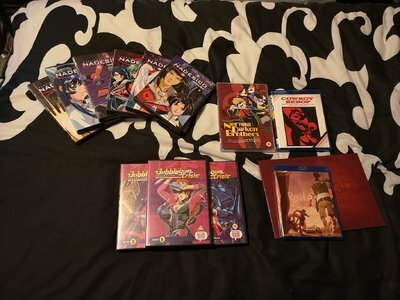 Also I don't even have broadband, whats the point when I order so much anime.